This is the easiest way to make ice-cream at home if you don’t have an ice-cream maker. All you need is to combine three ingredients together with an electrical mixer. If you don’t have one, use your sheer muscle to beat the cream with a hand mixer then. The ice cream created with this recipe is absolutely tasty and creamy, as good as the great brands in Australia. Give it a go if you have a sweet tooth. Chill the whisk and mixing bowl in fridge for about 15 minutes. 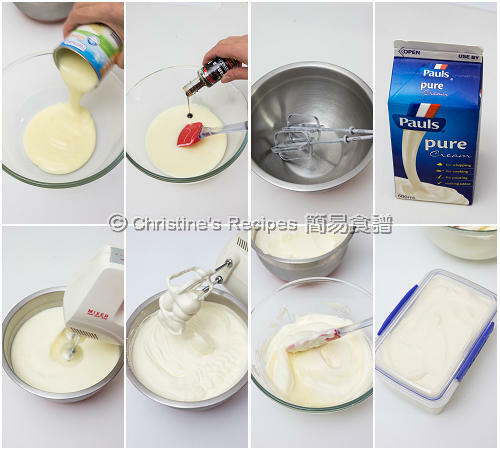 Mix condensed milk with vanilla extra. Set aside. Pour the whipping cream into the cold mixing bowl. Use low speed to beat for 1 minute. Increase to medium high speed and beat until soft peaks form. Fold into the condensed milk mixture in three batches until well combined. Pour into an airtight container and put into freezer for at least 6 hours or overnight. Enjoy! Whipping cream is unsweetened. I used Paul’s pure cream this time, available at supermarkets. You may use your favourite brand that comes in handy. To get the best results, try to get the full cream whipping cream. It’s much easier to beat and form soft peaks with fluffy texture. Hi Christine, may I use thickened cream for a fuller cream taste to substitute whipping cream? I found Paul's is creamy enough. But you can use thickened cream instead if you like. I do have an ice cream maker - do you think this would still be ok in it?? That's great if you have an ice cream maker. You don't need to beat the whipping cream. Simple put all the ingredients in it. There you go. 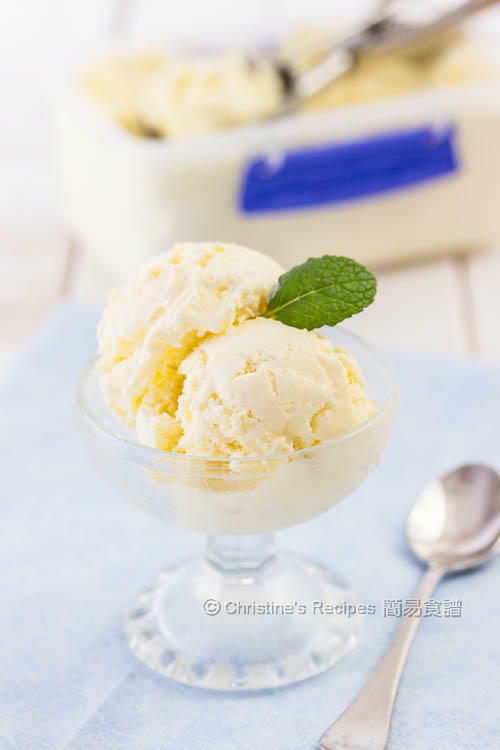 I would like to try to make mango ice-cream using your method. Do you think I should put mango puree in to replace some of the condensed milk? 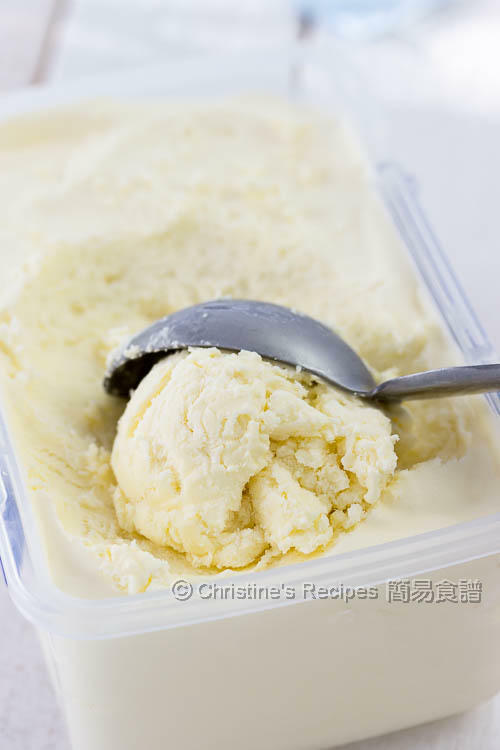 Will the reduced amount of condensed milk affect the stiffness/texture of the ice-cream? Also, I would like to know if the whipping cream is 35% fat? I live in Canada and we might call it differently. Although I haven't experimented this recipe with mango puree, I think it should work. I think mango puree will be wonderful and it'd add a bit of tart taste subtly to the ice-cream. As mango puree is sweet, the condensed milk should be reduced accordingly. It depends on how sweet your mango puree is. I can't give you exact amount. You may try adding the mango puree and condensed milk alternatively in batches, and taste the mixture along the way you combine them, until you get the right level of sweetness. Yes, I also use the whipping cream with 35% fat content. 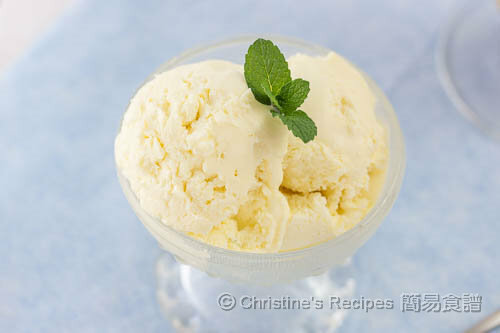 Hi Christine, Can I add Mango Puree into the recipe to make it a Mango Ice Cream? if so how much? Coincidentally, another reader, Stephanie asked the same question. Please check my reply above. I just made it with the kids, can't wait to try it tomorrow. My little one actually licked clean the mixing bowl! Thank you for the recipe! Awesome. Hope you all like it as much as we do. Hi Christine , can condense milk be substituted as I cannot find it? If you are trying to follow this recipe, you can't skip the condensed milk. Sorry. Do you have any supermarkets nearby? They should stock some. Hello Christine , how long do you let it stand on your top before you scoop the ice cream ? +hi Christine this looks so easy &yummy, I am sure it tastes very good.i must try it .